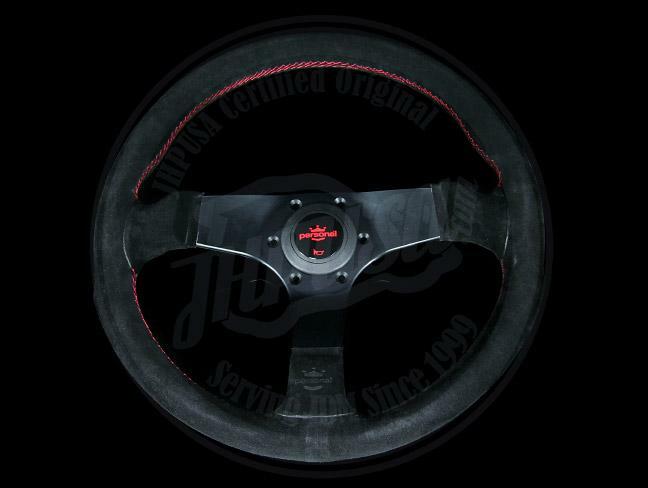 Personal steering wheels - Fitti Corsa UNIVERSAL - MiataRoadster - Stay tuned with MiataRoadster! The Fitti Corsa series features black spokes wrapped in suede. Choose from red or yellow stitching and horn buttons.